Saint Peter Canisius (May 8, 1521 – December 21, 1597), also known as Petrus Canisius, was an early Jesuit leader who fought against the spread of Protestantism in Germany, Austria, Bohemia, and Switzerland. The restoration of Catholicism in Germany after the Reformation is largely attributed to his work. Canisius supervised the founding and maintenance of the early German Jesuit colleges, and his frequent travels won him the title "Second Apostle of Germany." He founded colleges at Munich, Innsbruck, Dillingen, Wurzburg, Augsburg, and Vienna. Canisius is also noted for his contributions to the important debates at Worms (1557), the Diet of Augsburg (1559), and the Council of Trent (1545-63). He was an important influence on the Holy Roman emperor Ferdinand I and several other princes, and his preaching is credited with winning back numerous Lutherans to the Catholic side. A prolific writer and publisher, his most important work was his co-called "Triple Catechism," the most famous catechism of the Counter-Reformation, which was published in more than 400 editions in the seventeenth and eighteenth centuries. Saint Peter Canisius was beatified by Pope Pius IX in 1864, and later canonized and declared a Doctor of the Church on May 21, 1925 by Pope Pius XI. His feast day in the Roman Catholic Church is currently celebrated on December 21. Born in Nijmegen in the Duchy of Guelders (until 1549 part of the Holy Roman Empire, now in the Netherlands), Peter's father was the wealthy burgomaster, Jacob Canisius. His mother, Ægidia van Houweningen, died shortly after Peter's birth. In 1536 Peter was sent to Cologne, where he studied arts, civil law, and theology at the university there, receiving the degree of Master of Arts in 1540. His acquaintances included staunch Catholics such as Georg of Skodborg, who had been expelled as archbishop of Lund by the Protestants; Johann Gropper, the canon of the Cologne cathedral; and several Carthusian monks. Although his father desired him to marry a wealthy young woman, Peter pledged himself to celibacy. In 1543 he visited the Jesuit leader Peter Faber, devoting himself to the Jesuit "Spiritual Exercises" under Faber's direction. Canisius was admitted into the Society of Jesus, which was then only three years old, at Mainz, on May 8, 1543, the first Dutchman to join the Jesuit order. Canisius helped to found the first Jesuit house in Germany at Cologne. He also preached in the city and its suburbs, and debated and taught in the university. In 1546 he was admitted to the Catholic priesthood. Soon after this, he was sent to obtain assistance from Emperor Charles V against the Protestant leader Hermann of Wied, the elector and former Catholic archbishop who had attempted to convert his county to the Protestant cause. In 1547, he participated in the Council of Trent, where he is recorded as having spoken twice to an assembly of theologians. After this he spent several months under the direction of Jesuit founder Ignatius Loyola in Rome. In 1548 Canisius taught rhetoric at Messina, Sicily. At this time Duke William IV of Bavaria requested Pope Paul III to send him some professors from the Society of Jesus for the University of Ingolstadt, and Canisius was among those selected, reaching the city in 1549 after receiving a doctorate in theology at Bologna. In 1550 he was elected rector of the University of Ingolstadt. In 1552 he was sent by Ignatius Loyola to Vienna, where he taught theology in the university, preached at the court of Emperor Ferdinand I, and was confessor at the local hospital and prison. Canisius exerted a strong influence on Ferdinand I by warning him that providing more rights to Protestants would endanger his soul. He also visited and ministered to many Austria parishes which had previously been abandoned by the Catholics in the wake of Protestantism's advance. 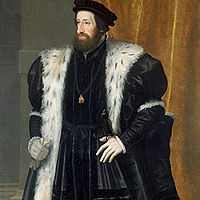 When it seemed that Ferdinand's son and heir, the future Maximilian II, was about to declare himself Protestant, Canisius convinced Ferdinand to threaten to disinherit Maximilian should he do so. 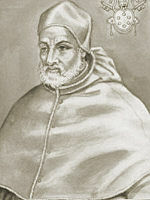 Ferdinand offered Canisius the position of bishop of Vienna on three occasions, but he refused. In 1555 he was present with Ferdinand at the Diet of Augsburg, which officially ended the religious struggle between Catholics and Protestants within the Holy Roman Empire and allowed the German princes to select either Lutheranism or Catholicism within the domains they controlled. In the same year, Pope Julius III himself appointed Canisius as administrator of the bishopric of Vienna for one year, but Peter succeeded in keeping the appointment temporary. Later in 1555, Canisius succeeded in winning approval to open Jesuit colleges at Ingolstadt and Prague, and Ignatius appointed him first Jesuit provincial superior of Upper Germany. By the appointment of the Catholic princes and the order of the pope, Canisius took part in the Colloquy of Worms in 1557, where he acted as the champion of the Catholics in opposition to the Lutheran leader Philipp Melanchthon. There, Canisius is credited with sowing the seeds of discord among the Protestants regarding their doctrines of original sin and justification, forcing the meeting to be dissolved with the Protestants in disarray. 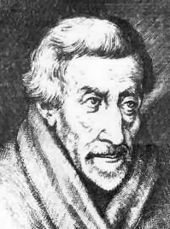 Pope Pius IV sent Peter Canisius as his agent in secretly carrying the decrees of the Council of Trent to Catholic leaders in Germany. As a writer, Canisius became especially influential through his "German catechism," a book that defined the basic principles of Catholicism in the German language and found many readers in German-speaking countries. Written from 1555–58, Canisius' catechism was a lucid expression of Catholic doctrines written in the context of widespread Lutheran criticism of the Roman tradition. It would become the most widely read catechism of the Counter-Reformation and went through more than 400 editions by the end of the seventeenth century. He was also a gifted speaker, and his widespread preaching was reportedly so convincing that it attracted hundreds of Protestants back to the Catholic faith. In 1559 Canisius opened a college in Munich. In 1562 he appeared again at the ongoing Council of Trent, this time as a papal theologian. In the spring of 1563, when the emperor had become estranged from the pope and the Roman curia Canisius strove to reconcile them, enabling the Council of Trent to end peacefully. While Rome praised him for his efforts, however, Ferdinand now began to consider his loyalty suspect. In 1565, Pius IV sent Canisius, now 43 years of age, to deliver the bulky decrees of the Council of Trent to the bishops in Germany, a dangerous journey through Protestant lands. During this trip, Canisius negotiated with the electors of Mainz and Trier, as well as several important other political leaders and bishops. After Pius IV's death, Canisius requested to be relieved of this assignment by Pius V on the grounds that his activities had aroused suspicions of espionage and interference in politics. 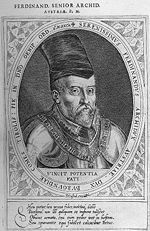 At the Diet of Augsburg in 1566, Canisius reportedly helped convince Cardinal Giovanni Francesco Commendone not to condemn the fragile peace with the Protestants, who had become emboldened under Maximilian II. This is thought to have helped avert a new religious war and to enable the renewal of the Catholic Church in parts of Germany. In the same year, Canisius is credited with bringing the Lutheran count of Helfenstein to the Catholic Church. Around this time, Canisius was also involved in the deaths of at least two "witches." In 1563, he had written of his concern that witchcraft was increasing "remarkably" in Germany: "Their outrages are horrifying... They bring many to their deaths through their devilish arts, raise storms, and bring frightful harms..." Over the next year he continued teaching, preaching, and establishing new Jesuit educational institutions. In 1569 Canisius returned to Augsburg and preached Lenten sermons in the Church of Saint Mauritius. In 1570, he moved to Innsbruck to serve as the court preacher to Archduke Ferdinand II. In 1575 Pope Gregory XIII sent him with papal messages to the archduke and to the Duke of Bavaria. He attended the Diet of Ratisbon in 1576 as theologian to the papal legate Cardinal Giovanni Morone. By the time he left Greater Germany in 1580, the Jesuit order there had evolved from almost nothing into a powerful tool of the Counter Reformation. Canisius spent the last 17 years of his life in Fribourg, Switzerland, where he founded the Jesuit college that became the core of today's University of Fribourg. The city authorities ordered his body to be buried before the high altar of Fribourg's principal church, the Church of Saint Nicolaus, from which it was moved in 1625 to the Church of Saint Michael, the church of the Jesuit college at today's University of Fribourg. Peter Canisius was an important force in influencing the Catholic Church and the Jesuit order to invest substantial efforts to defend the Catholic faith in northern Europe, where he himself was the Counter-Reformation's most effective advocate in the mid-1500s. It is not an exaggeration to say that the existence of Catholicism in Germany and Austria today depends to a large extent on his work. He also convinced Pius V to send yearly subsidies to the Catholic printers of Germany, and he induced the city council of Fribourg to erect and support a printing establishment. He himself was a prolific writer and publisher, with hundreds of works to his credit. While he was harshly criticized by his contemporary Protestant opponents as a cynic who knowingly defended Catholic errors, he won the respect of later Protestants who recognized his sincerity of faith and praised his moral character. Soon after his death, reports spread of the miraculous help obtained by invoking his name, and his tomb was visited by many Catholic pilgrims. Beatified in 1864, Saint Peter Canisius was canonized and declared a Doctor of the Church in 1925. Until 1969, his feast day was celebrated on April 27, but is now officially commemorated on December 21. In art, Saint Peter Canisius is often represented with his catechism and other books, or surrounded by children whom he is instructing. In recognition of his early work in the establishment of Jesuit education, numerous educational and other institutions have been named for Canisius. ↑ David Lederer, Madness, Religion and the State in Early Modern Europe www.google.com. Retrieved August 4, 2008. This article incorporates text from the Catholic Encyclopedia, a work now in the public domain. This page was last modified on 2 April 2013, at 15:06.